Peru Vacation Tours planned our 10 day vacation package to Peru. Our itinerary was planned so well and followed perfectly. There are so many adjectives to describe our experience with the top five being unbelievable, adventurous, fantastic, lifetime experience for my children, and breathe taking. There are so, so many favorite parts of the vacation which includes the amazon jungle in Puerto Maldonado as the top and following are Machu Picchu, Cuzco, eating alpaca, Inca terraces, all the Inca ruins and learning the history etc...I highly recommend Peru Vacation Tours to everyone. I give them 6 stars! Luke was great and responsive. His operations team on the ground always kept us up to speed. There were a few small hiccups out of their control but they were able to help find a resolution that made the experience a fantastic trip. Would recommend. The slight issue were some of their drivers spoke very little English but we were able to still communicate with the little Spanish we knew and the little English some of them knew. These guys are the real deal - so go with them. PeruVacationTours.com provided me with a safe easy way to see Peru. I very much enjoyed my trip and they had me taken care of every step of the way. I felt the trip was well worth the price. Luke was patient and very helpful in my reservation process. If your interested in carefree travel in Peru, I recommend them in every way. Peru Vacation Tour, We all just reached home safe and wanted to send you a quick Thank You note for all your help in making our trip memorable 🙏🏼 We are so glad that we could make this trip and Peru and nature is just amazing and overwhelming at the same time. Thank you for making it all possible with varying demands from a large group. All the guides were very knowledgeable, especially Liz and Julia from Arequipa were very knowledgeable and nice. 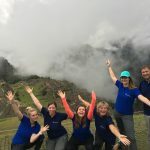 Absolutely delighted with the service we received from Peru Vacation Tours and in particular, the personal touch and attention to detail of Luke Winstanley. Everything was thoroughly well organised and the trip went flawlessly, even when we wondered at times whether things would work, we need not have concerned ourselves, we were not let down at any point. We can unreservedly recommend this company to anyone contemplating a vacation in Peru. We had nothing to do but arrive in Lima. Thanks so much! Our experience with using Peru Vacation Tours (PVT) was outstanding. From start, we did not really know all the things we wanted to see, but had some ideas. PVT gave several suggestions, always with good descriptions and suggestions. Also including price and finding suggestions that met our budget conditions. Also a lot of useful tips for the trip were included. From we first set foot in Lima til we left the last day, the trip was both breathtaking and hazzelfree! Drivers / guides met us at all necessary points, helped us with any questions we had - they were available when needed, and gave us space when we wanted to enjoy the time alone. 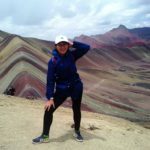 Regarding the guides, as a person that loves traveling, the guides we had during this adventure were all outstanding, so personal really letting us come closer to Peruvians and understanding their culture, believes and day-to-day life. We had a weather hick-ups and one mountain we were going to trek got closed, but the guides PVT used went all the way to help us find an awesome alternative. Also, all bus travels were with a very comfortable bus liner, and when we wanted to change a ticket due to weather changes in Nazca, the PVT guides again really went all out to help us fix this with the bus company and fix transport to the bus (which we would never have managed alone). The whole experience has made me very positive to having a travel agency tailor make my vacation, and I will for sure use this again for my next trip when in a continent / country I don’t know. I really give my warmest tips to Peru Vacation tours for maximizing our adventure in Peru! Our vacation with Peru vacation tours, was amazing our group of ten had a wonderful time. from the arrival to the airport in Lima. to our way back in cusco. the whole team was professional and knowledgeable in all areas. thank you guys. very specials thank's to Luke. Thank you so much for that incredible vacation experience that you gave me! Great organization, very friendly and so professional. I hope travelling soon with you to discover more of that impressive country. See you soon! From the very beginning I would like to say that I highly recommend Peru Vacations Tours as your agent for a vacation in Peru. I found them over the internet and the whole experience was great. I would like to emphasize the availability and customer orientation of Luke. From the very beginning he did his best to accommodate our needs and expectations. In addition during the entire two weeks trip that involved changing multiple hotels, transfers, flights, boats, tours, etc Luke was all the time available to help and solve any issue that arose along the way. In other words he gave us peace of mind that no matter what there is someone there to help when needed. I am very glad I chose them and we (a family of three) had an unforgettable experience. Thank you PVT, thank you Luke. From booking and organizing the trip, to communication in the country, we always felt like the communication was beyond excellent (which is comforting when our Spanish was not the best). The trips were excellent- we were picked up at our hotel in the mornings and taken care of throughout the day with knowledgeable guides and fun, interesting experiences. Such an amazing trip that was made possible by Peru Vacation Tours! Thank you so much!! 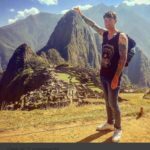 Although there are several competitively priced online travel companies to choose from for South America, we chose Peru Vacation Tours because of Luke Winstanley, whom we found to be extremely good at troubleshooting if anything goes awry. In our case, we were fortunate to recover a lost back pack at the airport which happens often with connecting flights. PVT persisted with the airline to have the bag delivered to our hotel. We also had a very reliable driver named Walter, who made sure we made our connections and also gave us a nice introduction to Lima. Overall, Luke put together an amazing 12 day package with excellent guides & drivers for Lima, the Amazon, Cusco, Sacred Valley, Machu Pichu, Puno & Floating Islands as we had requested. All of our guides were extremely knowledgeable and spoke both Spanish & English. We also asked him to arrange a birthday celebration for my 16 yr old son at our lodge in the Amazon and was amazed at the friendliness, kindness and hospitality of the staff at The Planet Lodge. Then, dinner reservations later that day in Cusco at Peruvian Kitchen, in which the staff sang HB in Spanish and the food and drinks were masterfully presented and very delicious! Our hotels were very clean and centrally located. Our two-person tour started and ended in Lima. Peru Vacation Tours was instrumental in making our trip a memorable one. They specialize in luxury and budget tours. Being an English speaking traveller in a Spanish world, we had no problem communicating and the tour guides provided by Peru Vacation Tours were fluent in English. Every time we reached our new location, a friendly guide would greet us with coupons, maps and tips for the day or two that we stayed. On occasion, we accompanied other tours on day trips. Some of the tours were Spanish-speaking exclusively and our guide came along as a translator so we didn't miss out on anything. Another great tip when traveling is the balance between modes of transportation. Peru Vacation Tours made sure that we took the train or bus when there were scenery and the plane when we had to get to our destination with speed. Travel doesn't always go according plan. When we had to change hotels, we were able to call the Peru Vacation Tours and they answered the phone. I was pleasantly surprised when I didn't have to press 1, 2, 5, 8 as options to direct my call. The local representative was able to help us right away and we were able to continue our tour without any interruption. They even called the hotel at night to ensure that we were on schedule and on track with the new itinerary. Thinking of travelling to Peru? I recommend, without reservation, Peru Vacation Tours! I would recommend Peru Vacation Tours to anyone. I flew to Lima and wanted to travel to Cusco and visit all the sites there. Not speaking Spanish I was concerned, however I contacted the firm and they set everything up for me. Flights, hotels, coaches and passes to various locations. Upon arriving at Cusco I was met by a friendly representative and he took me to my hotel and arranged everything whilst I was there. Would definitely advise anyone to use this firm and are very reasonably priced as well. I had an excellent solo trip organized by Peru Vacation Tours in Sept. Booked the entire itinerary with Luke W. from US. He provided me sample tours with my budget and interest in mind, and we confirmed everything via email or phone call. I even had to do last minute date changes due to hurricanes and flight cancellations, Luke waived the change fees for me which was very appreciated. During the tour all pickups and dropoffs were very smooth. Everything was explained to me before and during the trip. Luke even dropped by at my hotel in Lima to answer any questions. It was a pleasure working with Peru Vacation Tours. I would highly recommend them to anyone. I want to write and tell you what a FANTASTIC trip we had on many levels. Of course the sites we saw were amazing, the weather was perfect (still haven't figured out how you arranged that one! ), and the food great. It was wonderful working with you, you were always helpful, patient, and professional. There were sooooo many different parts to the trip, but they all worked perfectly and the trip was perfectly organized. The guides, leaders, coordinators, etc were wonderful, we loved the hotels you selected, as well as the locations and their services. The people to meet us at the various points were always there, the train and bus rides were well coordinated, as were the plane rides. With so many parts to the trip is amazing that it all ran so smoothly...due I am sure to your careful attention to details. I have attached a photo of our happy group. I look forward to planning another trip with you. Happy I was able to meet you in person and have a drink at the hotel. Best of luck to you always. We have returned home from our wonderful 3 week South America trip and I have to say, your Peru tour was the best! Your tour guides were great, beginning with Keylee who oversaw our itinerary and made sure everything worked out, even checking in for our return flight. Rony, the tour guide who took us from Cusco to Ollantaytambo was phenomenal, what a wealth of information, how he managed to keep track of everyone in Ollantaytambo was beyond me! He went out of his way for us many times, which we so appreciated. Victor Hugo was an amazing guide, so full of energy and customizing our Machu Picchu tour to one of our members who couldn't do any climbing, he was outstanding. You have amazing tour guides. The only problem that arose was when we were in Cusco the first day and were supposed to get a private tour, the tour guide never showed up and Keylee was able to get us in with another tour, with William , who was also wonderful. The transfers and hotel were also great. We had a wonderful time, just wish that we had seen more of Cusco. It was a pleasure dealing with you and kudos to your fantastic staff!!! I will be sure to recommend your company highly. Sincerely, Peggy Petersen, Travel Trends, Hauppauge, NY PS, the restaurant that Rony took us to in the Sacred valley was excellent! We visited Peru in May. 2017. We were a big group from USA with complex variations in our itineraries. Luke from Peru Vacations was very attentive to our needs. We had great experience from the ground staff who coordinated our tour smoothly. Easy and prompt to communicate and prices are competitive. I highly recommend Peru Vacation Tours. 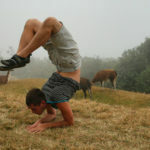 I booked a Machu Pichu and Cuzco tour with Luke through pvtnew.test and it was an amazing, effortless experience. Luke handled everything for us from arranging flights from Lima, tours for Cuzco, Machu Picchu, and various other sites throughout Cuzco. 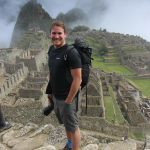 I generally do try to book and organize trips on my own, and actually researched the Machu Picchu process myself extensively, and came to the conclusion that working with Luke was not only far more convenient, but it would actually be cheaper, easier, and resulted in a far better experience working with Luke instead! There are several things that particularly impressed me working with Luke: The tour guide for Machu Picchu was especially amazing, and he knew so many details about Machu Picchu. He knew the best spots for photographs, all of the history. I especially appreciated his photo albums of the past of Machu Picchu - added an extra dimension to our appreciation of Macchu Picchu that would not be possible without him! Working with Luke and his local partners added a dimension and convenience to the Machu Picchu leg that I would never have been able to achieve by planning on my own. Luke was also exceptionally responsive and customer-friendly, something I think is especially essential when working with a tour operator and travelling to a foreign country. Being able to develop trust with someone you're working with a continent away is especially important to me, and Luke was perfect for that. I am a demanding customer, sending numerous emails, phone calls, both before and during the trip, and Luke always responded promptly and professionally. Even during the trip, if I had any questions, Luke was just an email or phonecall away, making the experience completely stress free. I really enjoyed the trip, and am glad I picked Luke and his agency. I have been, and will continue, suggesting your agency and the trip we took to all of my friends who are planning to go to Machu Picchu in the future as someone who can make the trip effortless, add value, and truly special. Highly recommend Peru Vacation Tours. I travelled to Peru alone and I don't speak Spanish. Reliability and safety was important to me. The company delivered on both with efficient service, highly responsive communication in English. Everyday was activity packed customized per my preferences. Given that Peru Vacation Tours is a smaller company, they are more price competitive than some of the other companies I Googled and they deliver the same type of reliability and safety service. Don't hesitate to book with this one. We loved our vacation. I want to thank you so much for making everything happen for us beyond to what we expected. The hotels were amazing, the service was amazing. Enjoyed every single second we spend in Lima, Cuzco and Machu Pichu. The Hotel in Lima was so convenient, close to shopping and close to the beach, the Lima city tour another experience we will never forget. Cuzco hotel Best Western was indescribable. We got a room on the 4th floor which came with an amazing view of the Catidra, Christo Blanco and with its own dinning area. The location was very convenient, right at the center plaza. Machu Pichu is an experience that we will never forget. The train ride itself was beautiful, the tour guide Victor was very entertaining and knowledgeable. We felt in love with Peru and planning to go back again within the next 2 years. Luke thank you so much for your patience with me when I was planing all this. I appreciate the fact that you didn't mind checking things out for me for 2 months when I could not really make up my mind. I appreciate the phone calls just to follow up, giving me enough time to do my own research, not pushing me to get something that you wanted me to get. We are planning to come back and I will be in contact with you personal to schedule my next trip to Peru. Thank you again. Peru, a magical place with amazing scenery and wonderful people. But where does one start looking when the travel bug bites? Unlike the all-inclusive resorts that are plentiful with deals on the internet travelling to Peru is quite a bit different. We wanted to ensure that we work with a reputable company. A couple of tips when searching for a good travel agency include customer service, location when you\'re on vacation and a good deal. Our two-person tour started and ended in Lima. Peru Vacation Tours was instrumental in making our trip a memorable one. They specialize in luxury and budget tours. Being an English speaking traveller in a Spanish world, we had no problem communicating and the tour guides provided by Peru Vacation Tours were fluent in English. Every time we reached our new location, a friendly guide would greet us with coupons, maps and tips for the day or two that we stayed. On occasion, we accompanied other tours on day trips. Some of the tours were Spanish-speaking exclusively and our guide came along as a translator so we didn't miss out on anything. Another great tip when traveling is the balance between modes of transportation. Peru Vacation Tours made sure that we took the train or bus when there were scenery and the plane when we had to get to our destination with speed. Travel doesn't always go according plan. When we had to change hotels, we were able to call the Peru Vacation Tours and they answered the phone. I was pleasantly surprised when I didn't have to press 1, 2, 5, 8 as options to direct my call. The local representative was able to help us right away and we were able to continue our tour without any interruption. They even called the hotel at night to ensure that we were on schedule and on track with the new itinerary. Thinking of travelling to Peru? I recommend, without reservation, Peru Vacation Tours! We would like to thank you for a wonderful vacation package and hospitality of your crew. Everything worked without a glitch! We had a good time in Peru. Thank you! Just to let you know we have returned from an unforgettable vacation! Everything your company for Lorna and I was absolutely perfect. All the pick-ups were always on time, your 3 guides Ruben, Carlos and Alberto were knowledgeable, friendly and very helpful. The hotels you selected were more than we could have wished for. muchas gracias!! First I was very pleased with the trip and your services. I was met at the airport in Cusco, given a map with ideas of where to explore the first morning, this was very helpful. Your team always had my tickets ready and in order. I saw some travelers on tours who "paid" but weren't given a ticket, so they had to re-buy tickets at the destination..This never happened to me. The guides were very good, they were informative and helpful. Also very pleased when I got off the train with hundreds of people, you had someone waiting to match me up with my guide, or to pick me up. The hotel was very nice with a beautiful courtyard and a very helpful staff. Thank you very much for your services, it was the trip of a lifetime, and you made it excellent! Julia, I am so sorry that it has taken us so long to let you know how much we enjoyed our trip. It was WONDERFUL!!!! Even with the rain and cold, we still have told everyone that it was the best trip we have ever taken. We are telling everyone about your company and the great service we received. Another thing about that hotel, we arrived on Tony's birthday. I did not draw it to their attention, but at dinner, they turned off the lights and brought him a cake. Everyone sang to him. We were very pleased and SURPRISED! The reception desk worker must have noticed when she copied his passport. The catamaran-Did you know that we were the ONLY 2 passengers? We had our own private guide and the whole ship was just for us! It was FANTASTIC!!! We had a fantastic trip thanks to Peru Vacation Tours. We did not expect such a personal touch. Diana selected hotels for us based on discussion prior to the trip and did an excellent job catering to our desires.We are all vegetarian & the food that was provided on the Inka Trail was well above our expectations! 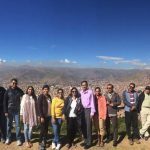 Peru Vacation Tours personalized our trip which started in Lima, stopped in Cusco, the Sacred Valley, and to Machu Picchu via the Inca Trail. Every tour, bus ticket, and train ticket was prearranged along with a guide that picked us up at our hotel to deliver us to each event. Each guide had excellent knowledge of the area's we were visiting with good English. Our guide on the trail was Juan. His service towards us was second to none! I can not praise him highly enough! His knowledge, humour & caring attitude really made the trip all the better for us.The personal attention was exceptional. I highly recommend using Peru Vacation Tours. Well done Diana & all of your team. Thank you, we managed to get back fine to USA and we just loved the tour and the whole experience of Peru, people, nature, music and food. Peru is a wonderful country, with great people who love children (luckily), otherwise it would be bad for us as you can see. The Inca culture and knowledge they had in 1400 s is very fascinating to me, and what I loved most out of our trip was Cusco, the real Inca city and the Sacred Valley which goes along the Urubamba river. When you are there, you feel the eternity and some magic in this place, as if the surrounding hills and nature know and keep all the secrets. Of course, Machu Picchu is an amazing Inca residence on the top of the mountain. Urubamba and the hacienda where we had lunch, was the best place I ever had lunch at, listening to relaxing andean music and looking at the vicunas and beautiful grass and nature while eating. We also liked Lake Titicaca and the island of Uros and Taquile, with hard working and inventive people living there. Another place we loved was Colca Canyon and our great Pozo del Cielo ethnic hotel. I almost cried when they brought us to the room the Thermofors to heat our cold feet at night. Beautiful country, and great, loving people, who also have lots of taste and beautiful jewelry. Thanks again, Radmila Runic with sons Duda and Alex (Mima) and friend and nanny Lula. Diana, we're back to normal here. I started school today and Ken and Melitta have been back to work for a while. Thank you for a wonderful trip. We all thoroughly enjoyed it. We had some reservations about travelling without a full time bilingual tour guide in a country in which we did not speak the language but we were very happy with way things worked The hotels we fine or good. Every one was clean; of course we liked some better than others. In Nazca we had suites so that was very nice. The hotel in Chivay was very picturesque and the hot water bottles were a very nice touch. It would be an excellent idea for hotels in other colder areas such as Puno. Staying in the former monastery in Ica was a fun experience. The hotel in Cusco was interesting because it had been a Spanish mansion We appreciated the way you and your staff kept checking to ensure everything was going well. The lady in Arequipa and the man in Cusco were particularly good. They did not take us on tours but checked to see that the tours were going well that we had no questions. We will recommend your agency to anyone we know that is travelling to Peru. Our experience booking with you has made me more comfortable about booking over the internet and travelling without a full time tour guide. Thanks again for everything. Thanks again. Dear Diana The trip was fantastic ! Thank you for your help in putting it together. Everything worked like clockwork.The agents in each City and the tour guides were all excellent, they spoke good English and were always there to meet us at the airports and hotels and to organise our trips each day. The highlights of the trip were Machu Picchu, the floating islands on lake Titicaca and the Andes train which was 10 hours of absolute pleasure, comfort and fabulous scenery. As I said before, the agents, ground staff and tour guides were all excellent and really helped to make for a fantastic and memorable holiday in beautiful Peru Thank you again. Peru, a magical place with amazing scenery and wonderful people. But where does one start looking when the travel bug bites? Unlike the all-inclusive resorts that are plentiful with deals on the internet travelling to Peru is quite a bit different. We wanted to ensure that we work with a reputable company. A couple of tips when searching for a good travel agency include customer service, location when you\'re on vacation and a good deal. Our two-person tour started and ended in Lima. Peru Vacation Tours was instrumental in making our trip a memorable one. They specialize in luxury and budget tours. Being an English speaking traveller in a Spanish world, we had no problem communicating and the tour guides provided by Peru Vacation Tours were fluent in English. Every time we reached our new location, a friendly guide would greet us with coupons, maps and tips for the day or two that we stayed. On occasion, we accompanied other tours on day trips. Some of the tours were Spanish-speaking exclusively and our guide came along as a translator so we didn\'t miss out on anything. Another great tip when traveling is the balance between modes of transportation. Peru Vacation Tours made sure that we took the train or bus when there were scenery and the plane when we had to get to our destination with speed. Travel doesn't always go according plan. When we had to change hotels, we were able to call the Peru Vacation Tours and they answered the phone. I was pleasantly surprised when I didn't have to press 1, 2, 5, 8 as options to direct my call. The local representative was able to help us right away and we were able to continue our tour without any interruption. They even called the hotel at night to ensure that we were on schedule and on track with the new itinerary. Thinking of travelling to Peru? I recommend, without reservation, Peru Vacation Tours! Our two-person tour started and ended in Lima. Peru Vacation Tours was instrumental in making our trip a memorable one. They specialize in luxury and budget tours. Being an English speaking traveller in a Spanish world, we had no problem communicating and the tour guides provided by Peru Vacation Tours were fluent in English. Every time we reached our new location, a friendly guide would greet us with coupons, maps and tips for the day or two that we stayed. On occasion, we accompanied other tours on day trips. Some of the tours were Spanish-speaking exclusively and our guide came along as a translator so we didn\'t miss out on anything. Another great tip when traveling is the balance between modes of transportation. Peru Vacation Tours made sure that we took the train or bus when there were scenery and the plane when we had to get to our destination with speed. Dear Peru Vacation Tours I’d like to write you and thank you for the wonderful time we had in Peru. Our visits to the Nazca Lines and Machu Picchu ruins were just amazing. The hotels were excellent, the location is good and the food was quite simply delicious. Our guide was very friendly and always punctual. He helped us all the time and we are satisfied with his job. Every question was answered with expertise and focus on our needs. It was very educational!! We will not have any doubt to recommend Peru Vacation Tours to anyone that is planning a trip to Peru. Maria Elena – I want you to know how much appreciate the trip you planned for us – We had the most wonderful people greeting us, Rolando, and our guides were the very BEST – Virgil and Esmeralda were thoughtful, knowledgeable, and made everything about the time spent with them so worthwhile. 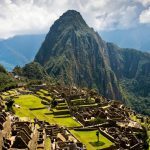 We came away loving PERU and the experience of visiting MACHU PICCHU. The hotel accommodations in the Amazon and in Cusco and at the Inkaterra Peublo were so comfortable and the staff so gracious – especially at the hotel is Cusco – I would give them a 5 star rating. I was not impressed with the hotel in LIMA – I do not know if you got to see the hotel but if anyone says they want a pool for the last day of their stay – the pool there does not qualify – there is no place to sit outdoors, nor is it big enough to swim in – and in the morning they could not organize serving a continental breakfast - The room itself was comfortable and we liked the location and the staff was helpful, but it was not what we had expected. I am mentioning this only because I want everybody who uses your service to come away knowing that you did a perfect job. Thanks for your efforts – we would recommend your service to anyone who wants to visit PERU.